Praxis: Mindful Living provides individual and group mindfulness training programs. Our mission is to live up to our name, Praxis, to bring mindfulness teachings into daily life through practical and accessible methods. 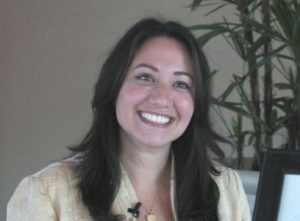 Vivian M. Hermiz is a UCLA-trained Certified Mindfulness Facilitator with experience in Buddhist, Christian, and secular mindfulness techniques. She is credentialed by the International Mindfulness Teachers Association as a Certified Mindfulness Teacher-Professional Level. She is an authorized instructor of the UCLA Mindful Awareness Practices® (MAPs) and an L2 Coach of Unified Mindfulness. Her approach to sharing mindfulness practices are informed by her experience in the Plum Village tradition founded by the venerable Thich Nhat Hanh and Shinzen Young’s Unified Mindfulness technique. She coaches groups and individuals in mindfulness practices and enjoys the challenge of tailoring programs to meet the unique needs of individuals and groups. She has facilitated at a diverse range of organizations from church groups to corporations, including the UCLA Mindful Awareness Research Center and United Health Group among others.